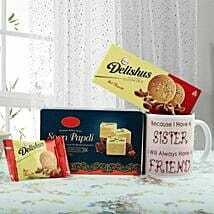 Send Rakhi and Sweets to Dwarka Online: Add Sweetness to Your Bond! 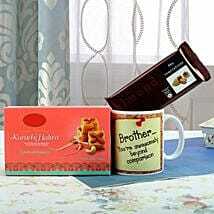 Raksha Bandhan celebrates the sanctity of the bond between brothers and sisters. Whatever myths or legends it has come from, the modern traditions are worth following. 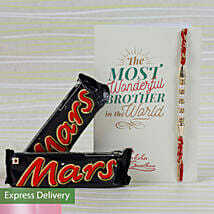 Tying a rakhi is a promise to always love each other, and feeding each other sweets just manages to add sweetness to the bond between brothers and sisters. This year we have made rakhi online shopping India available, so all you have to do is go online and select what you want, and we’ll send rakhi with sweets to Dwarka online. 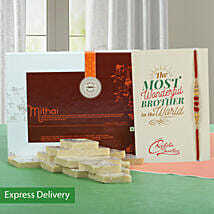 Order Rakhi with Sweets in Dwarka: Celebrate the Sacred Bond Between You and Your Siblings! On this secular festival, reconnect with your siblings and those whom you consider siblings. 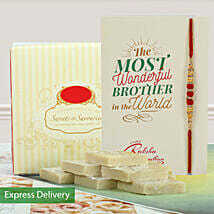 Let the rakhi reaffirm your love for your brothers or sisters. 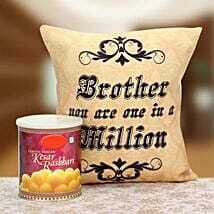 Celebrate Raksha Bandhan and celebrate the sacred bond that exists between you and your brothers or sisters. 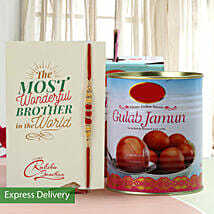 Send them a rakhi with sweets if you cannot be there, and let them know how much you love them! 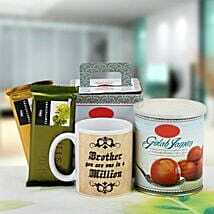 We make online rakhi delivery in Delhi. 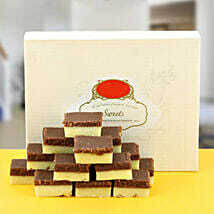 So go online and send rakhi and sweets in Dwarka now! 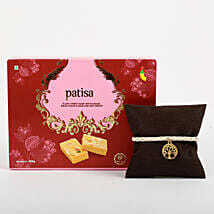 Buy Rakhi with Sweets in Dwarka: And Let Them Know How Much You Love Them! 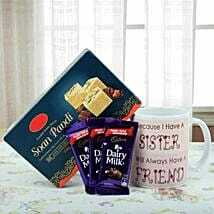 Make a vow to love your siblings at their best on occasion of this Raksha Bandhan. This year let the rakhi be a symbol of your love. Celebrate the bond that you share with them, and if you’ve fallen out of contact, then reconnect this Raksha Bandhan! 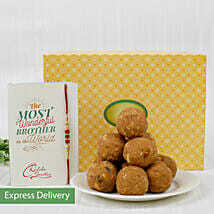 So don’t wait and go online now to order rakhi with sweets in Dwarka, and we will deliver them to you. You should also know that we offer free home delivery, so there are not going to be any extra charges on delivery!